‘Tis the season for holiday travel. And while that can certainly usher in a sense of joy and excitement, it can also be a source of stress and anxiety. Especially if you’re not properly prepared. 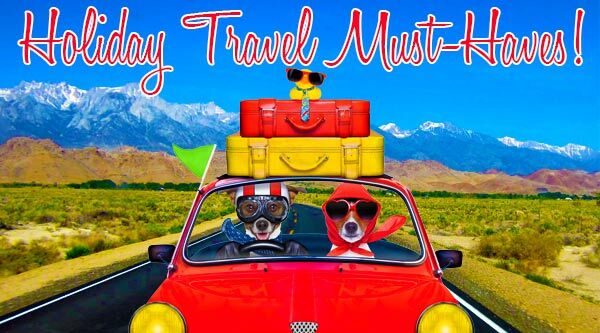 Of course, we here at MWS want to help ensure your trip goes smoothly. So, we figured we’d put together a list of some of our favorite travel products (you’re welcome). With the Monda Studio Handy Traveler, you won’t have to worry about leaving behind your favorite hair and skin care products. 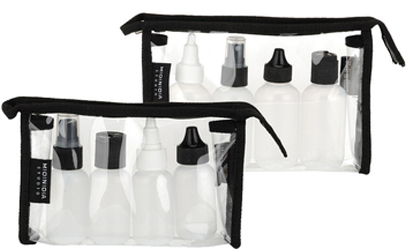 That’s because these squeezable, TSA-approved bottles provide a reusable alternative to the standard travel bottle. Moreover, they come in a pouch replete with a spray bottle (for misting) as well as push down, dropper and twist open containers. 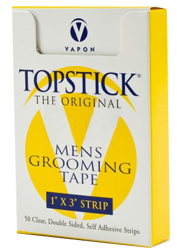 This amazing wardrobe tape from Topstick keeps bra straps hidden, gaps closed and neck lines secured. Even better, the strips are ultra-thin, ultra-sticky and won’t irritate those with sensitive skin. 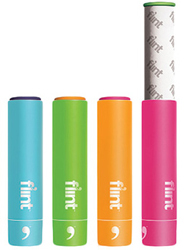 Flint Lint Rollers are compact, sleekly designed and above all, incredibly effective. They easily remove lint, pet hair and dust from clothing and other surfaces. Each roller retracts in and out from its base with a simple twist. In turn, this protects both the tape and the items in your bag. As if that wasn’t enough, they’re also reusable, recyclable and refillable. 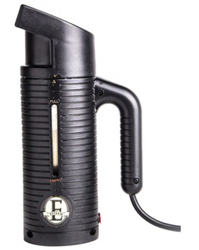 Jiffy E Steam – Hand Steamer quickly removes wrinkles and its compact size makes it easy to store. Best of all, numerous cord plug attachments are available so you can use it anywhere! 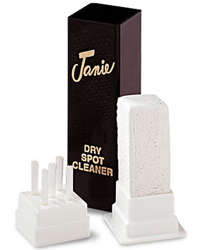 Janie Stick works miracles on any oil or grease-based stain, no matter the fabric or color. And thanks to an all-natural formula, it even removes old, set-in stains. Fortunately, Janie Stick is also a breeze to use; just apply directly to the affected area and brush off if needed. It’s really that simple! 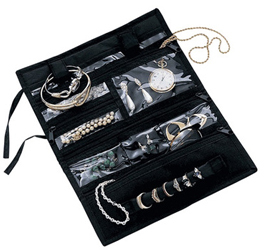 With 6 double-padded pockets, the Household Essentials Travel Jewelry Case is guaranteed to keep your accessories safe and organized. And its lightweight design means it’s easy to grab and go! The items mentioned above are just a small sampling of our amazing inventory. Visit our website or stop by our store and pick these up and so much more. Tagged flint lint rollers, holiday travel, jewelry case, stain remover, steamer, topstick strips. Bookmark the permalink.